Looking for a chance to see Phil Collins live? Here are five greats nights, all with huge savings while staying at Red Roof! Red Roof PLUS+ Philadelphia Airport offers flat screen TVs and free WiFi in all rooms. This location is conveniently located off of I-95, just nine miles from the Philadelphia International Airport (PHL) and close to University of Pennsylvania, the Children’s Hospital of Philadelphia and Pennsylvania Convention Center. Also nearby are Citizens Bank Park (Phillies), Lincoln Financial Field (Eagles) and the Wells Fargo Center (76ers & Flyers). 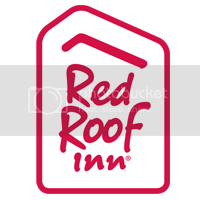 100% smoke-free Red Roof Inn Boston – Southborough/Worcester is conveniently located off of US Route 495 and 90 near Tufts Veterinary School, New England Sports Complex (NESC), The Fay School, St. Marks School, the Boston Marathon starting line and more! 100% smoke-free and pet-friendly Red Roof Inn Cleveland – Middleburg Heights has flat screen TVs and free Wi-Fi! Located near Cleveland, OH, it is close to the I-X Convention Center, Baldwin-Wallace College, Cuyahoga National Park & Cuyahoga Valley Scenic Railroad, the Rock and Roll Hall of Fame, Progressive Field, Browns Stadium and Quicken Loans Arena! Red Roof PLUS+ Columbus Downtown – Convention Center is a newly-renovated, 100% smoke-free, pet-friendly hotel. It is conveniently located in downtown Columbus, across from the Greater Columbus Convention Center and near Nationwide Arena and The North Market. We offer free continental breakfast, free Wi-Fi and large flat screen TVs. Lastly, Red Roof Inn Chicago – Downers Grove is a 100% smoke-free hotel, featuring free Wi-Fi and flat screen TVs in all guest rooms. Enjoy a convenient location to Lombard, Downers Grove Oak Brook, and many great restaurants. Now offering the new Order Inn program!